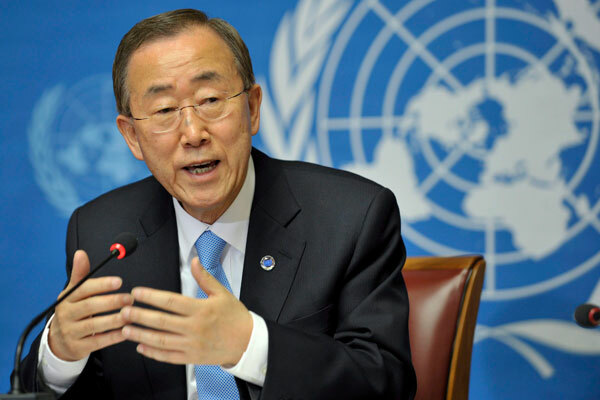 UNITED NATIONS, Sept 19 (APP): United Nations Secretary General Ban Ki moon has condemned Sunday’s militant attack in Uri, Indian administered Jammu and Kashmir, and expressed condolences to the families of the soldiers who lost their lives. “He wishes a speedy recovery to those injured. The Secretary General hopes that the perpetrators of this crime will be identified and brought to justice,” the secretary general said in a statement issued Sunday evening by his spokesperson on the attack, which, according to media reports, left 17 soldiers dead and injured dozens of others. “The United Nations is following developments closely and shares the concerns of people living in the region for peace,” the statement said, adding that the secretary general hopes that all involved will prioritize the re establishment of stability and prevent any further loss of life. Finally, the statement said the Secretary General encourages all stakeholders to meet their respective responsibilities to maintain peace and stability. The UN has long maintained an institutional presence in the disputed area between India and Pakistan. According to the Security Council mandate given in resolution 307 of 1971, the UN Military Observer Group in India and Pakistan (UNMOGIP) observes and reports on ceasefire violations along and across the Line of Control and the working boundary between the South Asian neighbours in Jammu and Kashmir, as well as reports developments that could lead to ceasefire violations. UNMOGIP currently comprises 41 military observers and a number of civilian staff members.